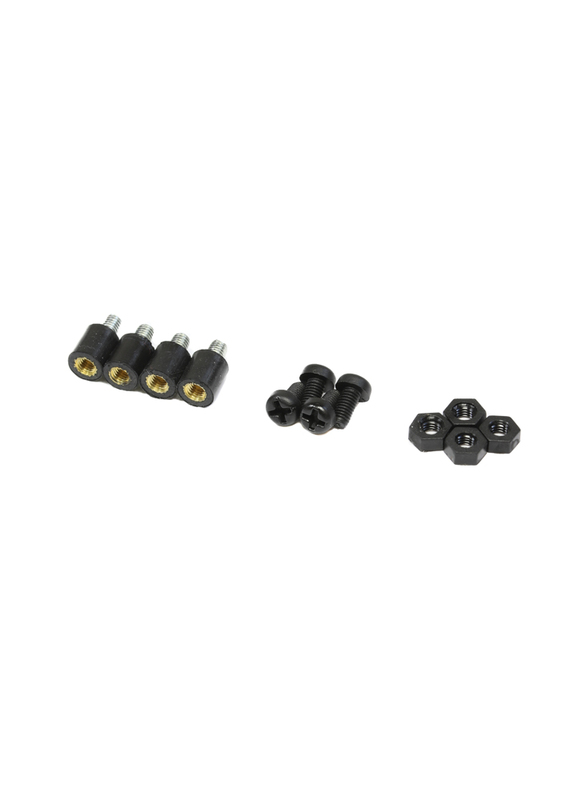 Here we've put together some M3 soft mount kits for FCs, PDBs and other sensitive electronics. Soft mounting your flight controller is essential these days as the gyros used in the latest F3 and F4 flight controllers are incredibly sensitive to vibration. If you don't use some sort of vibration damping, you'll more than likely run into lots of tuning issues like mid throttle oscillation and yaw twitches. Single Layer Flight Controller Soft Mount: Matek Rubber Anti Vibration M3 Standoffs x4, M3x6mm Nylon Screws x4, M3 Nylon Nuts x4. Twin Layer Flight Controller & PDB Soft Mount: Matek Rubber Anti Vibration M3 Standoffs x4, M3x10mm Nylon Screws x4, M3 Nylon Nuts x8.